May be subsale market better, people buy for moving in before Christmas & CNY. When will the city centre get developed? Maybe 10 years later after jelutong Radia developed . You also owner 1C ? Got idea on their current selling price and sales package?? Would bukit raja better area?? 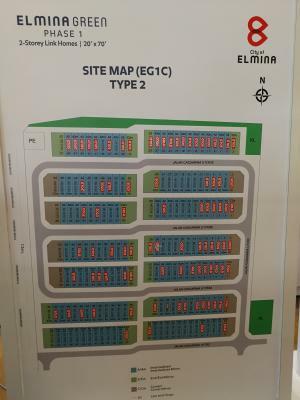 U better go check with sales person and location I choose Elmina is totally new area , environment good with green I like. Hope coming like 2nd Subang. Bukit Raja is what u see now than jus same and tat main road super heavy jam with a lot heavy factory near by the area. Ooh okay, easier to go KLCC or Bangsar then?? You seems alw go in the sales gallery? Between mind to share which bank loan u took ? How’s the offer and interest rate ? If you stay in Elmina you feel wasted if you dont spend your weekend at home. it is really a peaceful and beautiful place to stay in. I take Hong Leong 4.47% and tat person very helpful and responsible to sharing thing with me. For me dint wasted stay in Elmina if weekend not home. I just want have a peaceful and nice green environment to stay long life.